It was great to read this story (Research into D-I-Y accidents finds power tool users need better safety training) in UniNews yesterday. Not only was it a fascinating story about an even more fascinating research project but it shows how staff from our vocational and higher education areas have come together to work on education and research projects. In this instance, CQUniversity Metal Fabrication Teacher Gary Balderson and Dean of the School of Education and the Arts, Dr Bill Blayney, looked at the connection between the rise of Do-It-Yourself related injuries and product awareness. Something that I think is relevant to many people who aim to tackle projects around the home - and something that many Queenslanders will be doing as we approach a long weekend this week. The uptake of Do It Yourself (DIY) home renovations has rapidly increased across Australia with a subsequent increase in injury rates. Currently, there is no requirement by suppliers to provide product awareness training for hobbyist/DIY consumers. There is growing concern about the impact of injury to the health and well-being of the individual and also the negative financial issues that impact on the community. In fact, the survey found two-thirds of the respondents were reading the instructions, but only 40% understood what they were reading! This type of research is important and practical and is a great example of a comprehensive university like CQUniversity in action. It's great hearing about these projects and I really look forward to witnessing more examples of our VET and higher ed staff and students working together like this in the future. 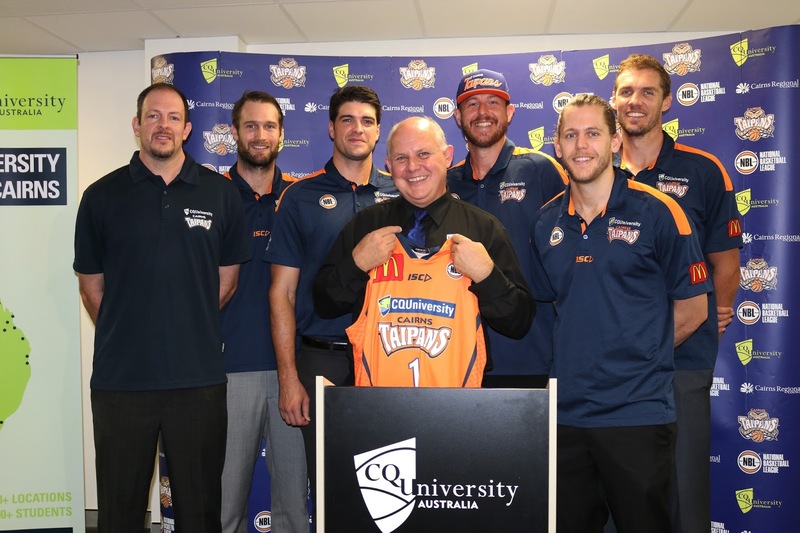 Some more great news this morning as CQUniversity adds another highlight to its growing list of achievements for the year. I’m delighted to announce that we have officially been recognised by the Times Higher Education World Rankings (for the first time) within the world’s top 150 universities, under 50 years old. 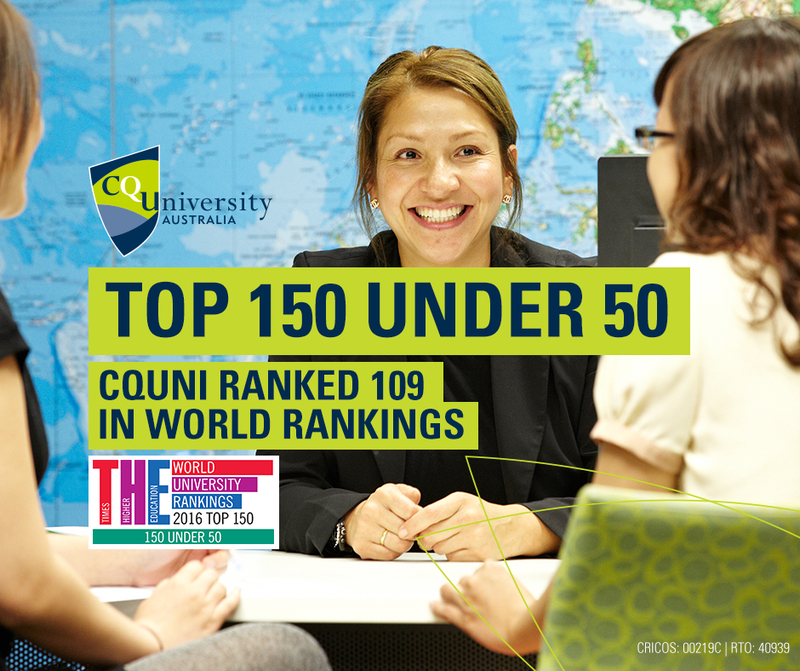 This is a significant achievement for our university and shows that our hard work and determination, to transform CQUniversity from a strong university to a great university is paying off! Over the past six years we have worked incredibly hard to increase our physical presence across Australia, grow our student numbers, deliver world-class research, improve our learning and teaching, and provide a great experience for our students. In fact what we have achieved in such a short period of time is truly outstanding. We now have more than 30,000 students, delivery sites in every mainland state of Australia and some of the best graduate outcome rates in the nation. Most importantly though, we are Australia’s most inclusive and engaged university and will continue to measure our success by who we embrace rather than who we exclude. What’s more today’s announcement follows on from several other significant achievements over the past 12 months, including being recognised within the world’s top 600 universities, being awarded five stars for inclusiveness, internationalisation and online/distance learning by the global QS Stars ratings system, achieving our highest ever Excellence in Research Australia (ERA) rankings, and most recently being recognised by international social innovation group Ashoka U as Australia’s first Changemaker Campus. CQUniversity has a long proud history, both with CQ TAFE, which has been around for more than 125 years, and as the Queensland Institute of Technology (Capricornia), which was established almost 50 years ago. We have made a great impact on the communities we serve and next year we will celebrate 25 years since we achieved full university status. It’s very exciting to think about what the next 25 years have to offer and the difference we can make to the world around us. For more information about the World’s top 150 universities under 50 please click here. After a hiatus of more than a decade, the infamous Bird Cage has reopened at CQUniversity Rockhampton North campus. The revamped and modernised facility will add to a recent resurgence of campus life, with more vibrant events and activities now happening throughout the year. This is a really exciting development for our staff and our students - many of whom are now studying on campus. Operating as a licenced venue and café, the Bird Cage is now open to CQUniversity staff, students and campus visitors. Initially, it will open from 11 am to 5 pm from Monday to Wednesday, with longer hours on Thursday (until 7pm) and Friday (until 9pm). It is also licenced to operate until midnight for special events. Back in the day the Bird Cage was a favourite for many students, a place to relax and meet friends (and probably miss a few too many lectures and tutorials) and now a whole new generation of students will get to have this same experience. The space is fantastic and the massive outdoor deck is sure to be a real winner. Patrons can also bring their own food or select something off the menu meaning, so it really is a place for everyone to enjoy at any time. I am really proud at what our facilities team have developed, in fact I think it's one of the best and biggest uni bars I have ever seen. I know our students will absolutely love it and I look forward to bumping into a few of them there on my breaks. For a sneak peak have a look at our virtual tour below.